I have one more track from Denmark to post, and this one too, is a little unique. 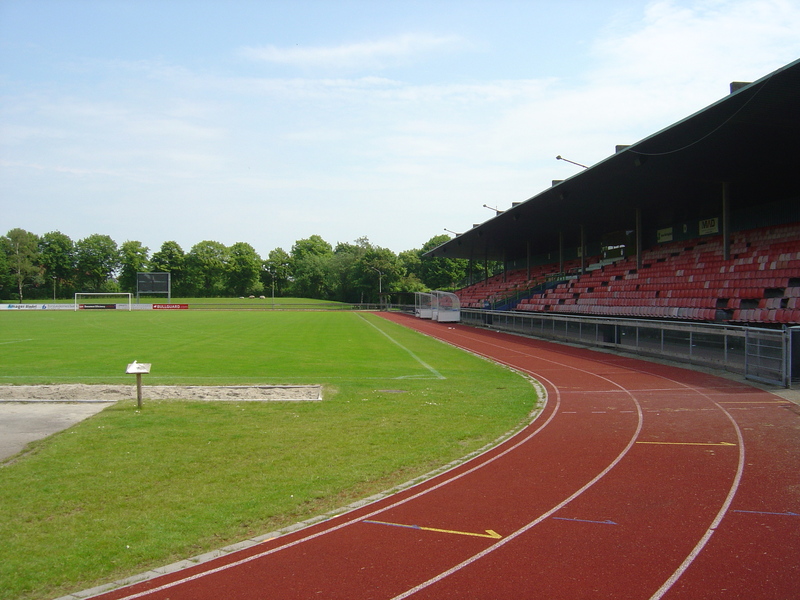 Sundby Idrætspark has been used for athletics competitions and soccer matches since 1908. It’s unique because of the few number of lanes, and because it’s an odd number as well. There are only three full lanes, which is extremely rare. They add two more to the main straightaway, giving them five lanes for the sport sprints and hurdles. All of the jumps are located inside the west end. The throws are actually on the outside of the track to the southeast, but are cropped out of the satellite photo. The track surface is fairly new, replacing an older one that was most likely asphalt. If you are a fan of the sport of archery, you will be hearing more about this facility, because it will be hosting the World Championships this summer.